Sciatica is pain in the lower back or hip that radiates down into the buttock and back of the leg along the sciatic nerve, often to the foot. Sciatic pain is the result of a pinched or inflamed sciatic nerve and can occur following an injury, muscular strain or herniated (“slipped”) vertebral disc that presses on the nerve. Fortunately, sciatica usually goes away on its own within a few weeks. The pain of sciatica can take a number of forms – it may feel like a cramp in the leg, may worsen when you sit, sneeze or cough, and may show up as numbness, burning, tingling, an electrical shock or as “pins-and-needles” along the leg. Muscle weakness can occur either due to pain or pressure on the nerve. Loss of bowel or bladder control is a rare but serious complication that requires emergency treatment. Only 10 to 25 percent of all cases last more than six weeks and 80 to 90 percent of all people with sciatica recover, in time, without surgery. The two sciatic nerves are the longest nerves in the body, running from the lower spinal cord down the buttock and hip, and continuing down the back of each leg to the foot. Each carries nerve signals for motor control of several muscles of the lower leg as well as sensation to the backs of the thighs, calves and feet. Anything that compresses a sciatic nerve for prolonged periods of time can cause sciatica. Sometimes this is the result of herniation in a disc of the lower back. Age-related changes to the spine cause deterioration to the shock-absorbing pads of cartilage that separate the back bones (vertebrae) from each other. These pads create space between the bones, allowing a place for the nerves to travel as they leave the spinal cord. If these discs rupture, their inner gelatinous substance can seep out and push against the nerves. Degenerative arthritis can also cause a narrowing of the space between vertebrae or cause one vertebra to slip forward onto another. This can pinch a root of the sciatic nerve, and cause similar symptoms. Trauma from a car accident or blow to the spine can injure the sciatic nerve directly, as can muscular strains of the large lower back muscles and spasms of the piriformis muscle that runs directly over the nerve. As these muscles become tight or go into spasm, they can create a rope-like tension that irritates the nerve. Tumors of the spine, spinal cord, or the nerve itself are rare causes of chronic sciatic pain. In addition to getting older, being in a job that requires constant twisting, heavy-lifting or driving can make one more prone to sciatica. The constant sitting that occurs as a result of a desk-job or being overly sedentary can also put excess pressure on the lower back and legs. And finally those with diabetes have an increased risk of sciatica due to the damage that occurs to peripheral nerves when blood sugars are abnormally high. What is the conventional treatment for sciatica? For most people, sciatic pain responds well to simple measures, including hot and cold packs, stretching exercises and the use of over-the-counter (OTC) pain medications such as non-steroidal anti-inflammatories (NSAIDS) like ibubrofen. In some instances, doctors will prescribe an NSAID along with a muscle relaxant to treat tension and muscle spasm. Narcotics may be given to deal with poorly controlled sciatic pain, although they can become addictive when prescribed for long periods of time. Chronic sciatic pain – longer than 2-3 months – can be treated with narcotic pain patches or the use of tricyclic antidepressants and anticonvulsant drugs, which work by blocking pain messages to the brain or by enhancing the body’s own production of endorphins. These medications can have side effects which include constipation, dry mouth, weight gain, bladder problems, blurred vision and dizziness. Most conventional doctors recommend physical therapy with stretching exercises as soon as the pain begins to diminish. You often can begin this rehabilitation by taking short walks even before starting physical therapy. Rehabilitation typically includes exercises to help correct posture, improve flexibility, and strengthen lower back and leg muscles. 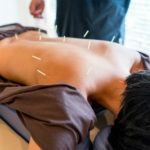 Massage therapy, ultrasound, and other techniques are often included in a therapy session, which typically lasts one hour. When conservative measures don’t alleviate pain within a few months, an epidural steroid injection or nerve block may be considered. Typically, a steroid is given along with a numbing agent – sometimes under X-ray guidance – into the area of suspicious nerve irritation with the hope that it will suppress inflammation and help relieve sciatic pain. These types of procedures are still under investigation as to how effective they are. Some research has found that corticosteroids can provide short-term symptom relief; however, data doesn’t seem to confirm its long-term usefulness. In addition, because of the side effects steroids can have, the number of injections you can receive is limited – usually no more than three in one year. Surgery to correct a herniated disc is usually reserved for times when the compressed nerve causes significant weakness, bowel or bladder incontinence, or when pain gets progressively worse or doesn’t improve with other therapies. Most current surgical options involve a lumbar laminectomy with diskectomy, where the herniated portion of the disc is removed, relieving the compression and retaining as much normal disc anatomy as possible. Sometimes a surgeon will perform this operation through a small incision while looking through a microscope (microdiskectomy). Fusion of vertebrae for sciatica is rarely done. Success rates of standard diskectomy versus microdiskectomy are about equal, although sometimes pain control and recovery time can be better with the lesser intervention of miscrosurgery. What therapies does Dr. Weil recommend for sciatica? Regarding surgery to remove part or all of a herniated disk, Dr. Weil recommends considering it only if, after three months of treatment, you still have disabling leg pain. Luckily, that is rarely the case. If the problem is muscular, specific stretches that can relax the piraformis muscle are frequently beneficial and can bring immediate relief. Anyone with chronic low back pain should review the recommendations in that section and consider the books written by Dr. John Sarno. 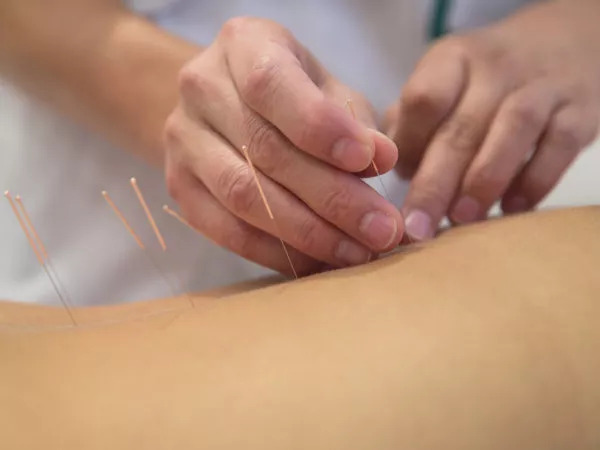 Acupuncture: The National Institutes of Health recognizes acupuncture as an acceptable alternative to conventional therapies for low back pain. Look for an acupuncturist accredited by the American Association of Oriental Medicine or the American Academy of Medical Acupuncture. Bodywork: Both the Alexander Technique and the Trager Approach can help overcome back pain. The Trager Approach includes table work (a practitioner gently rocks and lengthens your body to release tension) followed by a movement lesson for continued self-care. The Alexander Technique can help relieve pain and prevent recurrences by correcting poor posture and teaching proper patterns of movement. Osteopathic Manipulation: This system of manipulation of the musculoskeletal system can be a highly effective treatment and usually requires only a few visits to a qualified practitioner.